When you’re hiking the famous 3-mile coastal walk between Bondi Beach and Coogee Beach outside of Sydney, sometimes you just need to sit, take off your shoes, enjoy some water, and take in a horizon that goes on forever. See more horizons at this week’s Ailsa’s Travel Theme. This entry was posted in Ailsa’s Travel Theme, Australia, Photography, Stephen Kelly Photography, Sydney, Travel Theme and tagged Australia, Bondi Beach, Coastal Walk, Horizon, New South Wales, Stephen Kelly Photography, Sydney, Where's My Backpack. Bookmark the permalink. Bondi Beach is beautiful! If you’re there now, enjoy! Thanks, Patti. Oh, I wish I were there now. I’m living vicariously through my blog! 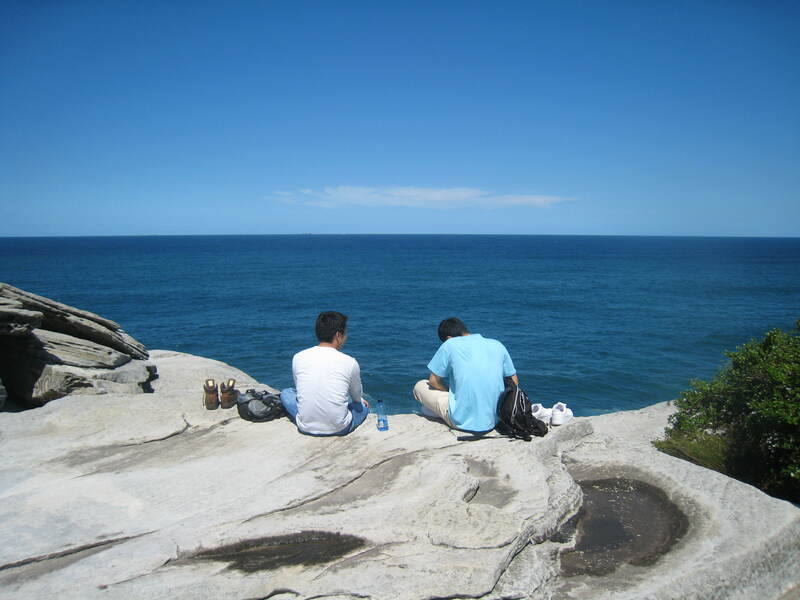 Blue sky, blue sea, beautiful Bondi…. surety will pay the bondsman the money instead. the judge says, “case dismissed,” the matter may be settled and it may not.